I think I'm done with video tutorials for some time now, because I have no idea what to film next. If there's a video you would like to see, let me know. 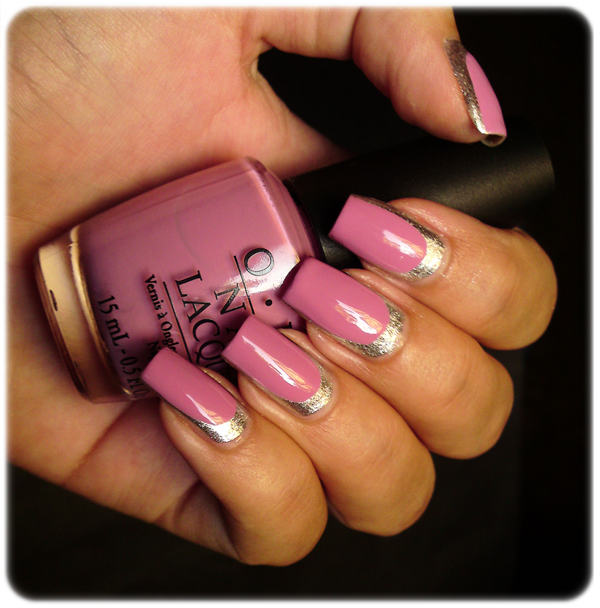 Great tutorial Ivana, your nails are looking stunning!!! Woooow, this looks great! I wanna do that as well. 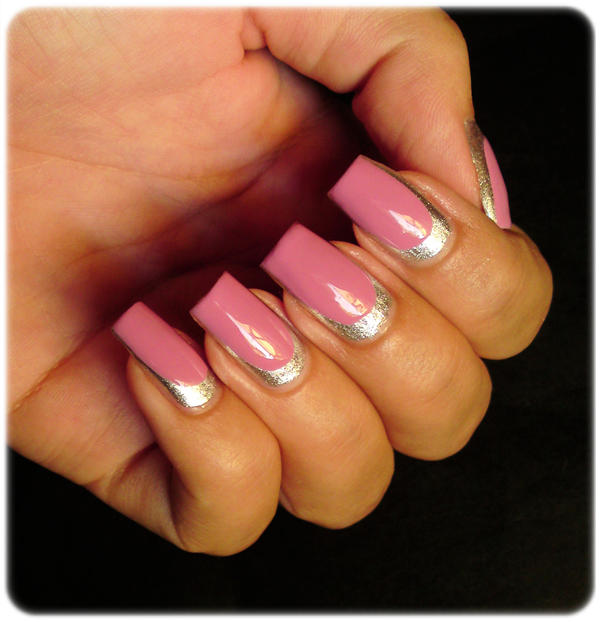 I love the combination of this metallic silver polish and the creme light pink, great! me encantan!!! y tus videos muy bien!!! This is a stunner! Great combo! This look feels so edgy to me but your long and slender nails pull it off so very well!!!! I am also loving how you show video tutorial from time to time now. Part of being in this blogging community is helping each other out and this gives others a chance to re-create you lovely look (if they were unsure of how to). I love it, such beautiful nails!! hi girl!!! I love your tutorials!! They are really amazing and you just gave me an fantastic idea! :D I have a blog too, about DIY and also I post tutorials :) Follow me back if you like it :) Kisses!! very pretty manicure! love the tutorial! simple but very pretty manicure! Beautiful nails! I love it!